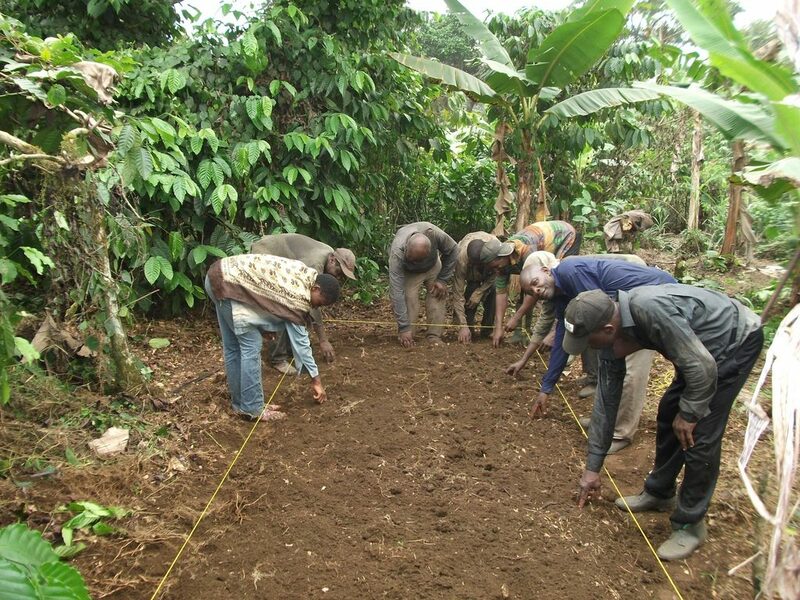 Seed multiplication farms are helping farmers in the southwest region of Cameroon fight climate change effects and poverty thanks to a government program implemented by the Southwest Development Authority (SOWEDA). SOWEDA has created multiple seed multiplication farms of maize, cassava cuttings, beans, yam sets and plantain plantlets in towns like Buea, Ekona, Barombi Kang and Kumba to improve the accessibility and availability of various quality seeds to needy farmers. Agriculture authorities say the seed multiplication farms can boost Cameroon’s second generation agriculture program. “For agriculture to be successful, it starts with quality planting material,” says Christopher Ekungwe, regional delegate of agriculture for the Southwest. He says in the past some farmers used seeds from their previous harvest, but such seeds lost some vital characteristics having been affected by prolonged drought and did not produce as much as the improved ones offered by SOWEDA. The expansion of the project to all the six divisions in the region is also attracting many farmers from other parts of the country. 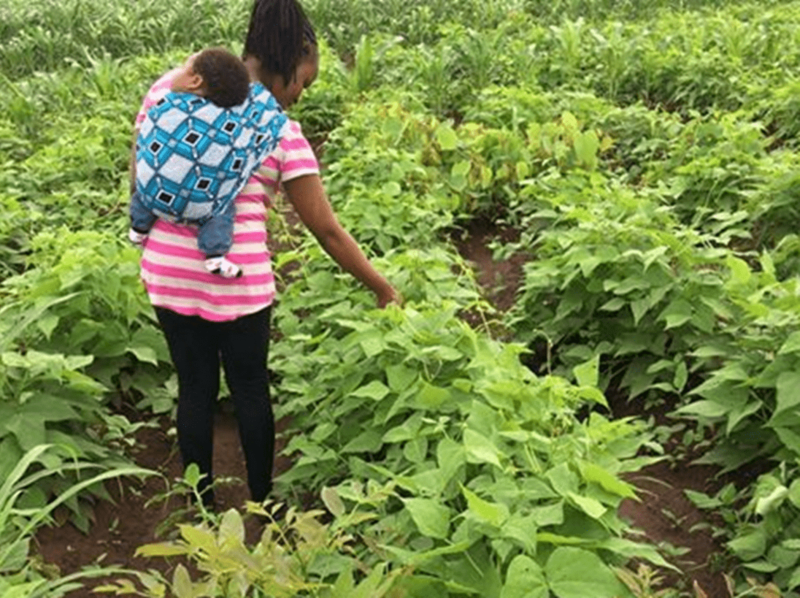 “We are happy the seed multiplication farms are expanding as many more farmers from other parts of the country are attracted to the high yield seeds,” says Ekungwe. The farmers attest the project has not only taken away their worry over plummeting yields linked to climate change but significantly improved their production, incomes and are employing more youths. “We now get the regular supply of quality and adapted seeds at affordable prices thanks to the seed multiplication farms,” says 33-year old Divine Nkeng of Buea. “With quality seeds guaranteeing high yields as well as a free training program, many more youths are now attracted to farming,” he says. The high breed of the multiplication farms has increased the production and income of the farmers helping them fight against poverty. 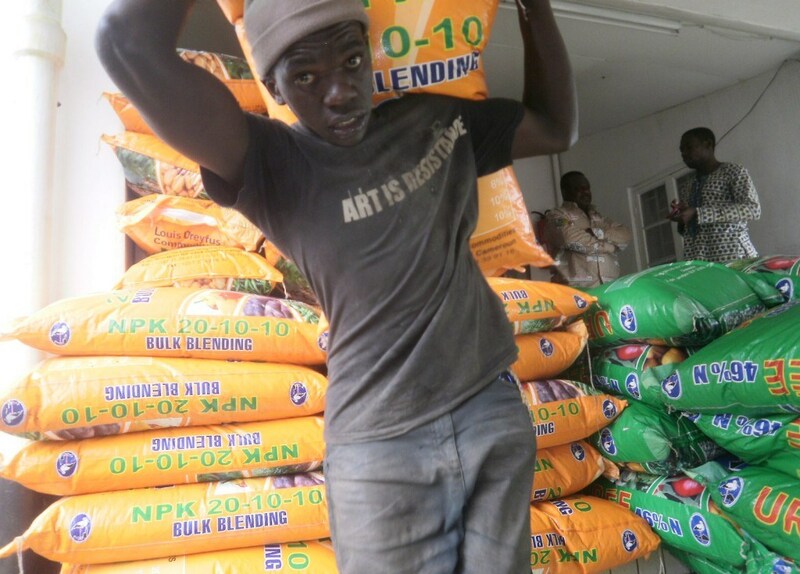 “I now produce three times more grain than before thanks to the quality seeds from the multiplication farms. That is why I am glad about the initiative which I think should be encouraged nation-wide to help local farmers,” says Adolph Njokwe, a maize farmer in Muyuka in the Southwest region. Njokwe says he harvested eight tonnes of maize in 2017 up from 3.5 tonnes in 2014 from his four acres farm. He blamed the poor yields in the past on prolonged drought that affected seeds from the previous harvest. Like Njokwe many smallholder farmers in the region say they suffered from intensified drought. Combined with unpredictable rainfall, crop yields took a serious hit leading to food shortages. In the past, the cost of seeds was considerably high. “In the past, accessing seeds have been a major hurdle. Sometimes we could get quality seeds from agriculture research centers but at prices three times higher than what we get now from the seed multiplication farms,” says Julius Takem, a cassava-producing farmer in Buea. But that difficulty is gradually getting over bringing smiles once again on the faces of farmers in the area,” says Dr. Andrew Eneme Ngome, SOWEDA chief. “Seed security is food security, that is why we provide not only planting materials but also insecticides to farmers in the region early enough at affordable prices ahead of every planting season to prevent them from resorting to low-quality substitutes at exorbitant prices elsewhere,” adds Dr. Ngome. SOWEDA, officials say serves as a community seed bank to enhance the resilience of farmers by securing and facilitating access to diverse, locally adapted crops and varieties. “Availability of diverse improved seeds to needy farmers is like putting money in the bank in readiness for the rainy day,” says Peter Epie Ngalle, SOWEDA Director of Monitoring and Evaluation. Over 70,000 tons of maize seeds, 20,000 tons of bean seeds, and 15,000 yam seeds from the multiplication farms are distributed to farmers in the region every year on request. The quantity, however, increases when more groups are registered. Each farmer’s common initiative group pay just a token of 50.000 FCFA (USD 90) to get these set of disease-resistant seeds, the officials say. The farm inputs per farming group include 110 liters of liquid fertilizers, 500 liters of herbicides, 375 liters of insecticides and 600kg of foundation maize seeds. The beneficiary groups are drawn from all the six divisions of the SouthWest. The farmers undergo a selection process supervised by the regional delegation of Agriculture and Rural Development. The farmers are also questioned on when and how to apply for the different inputs to enhance soil fertility for increased productivity better. “We also benefit from training on how and when to plant and make judicious use of the inputs we receive,” says Itoe Hansel, Head of Muyuka Farmers’ Platform. SOWEDA officials say they look forward to increasing their supplies of improved seedlings to as many farming groups in the country as possible to improve on government’s efforts towards food security. According to a July 2017 World Food Program report, Cameroon has witnessed escalating food shortage and child malnutrition, especially in the Northern regions in recent years. In two decades Cameroon has gone from being largely self-sufficient to a large-scale importer of basic foodstuffs, according to estimates by the Association Citoyenne de Défense des Intérêts Collectifs (ACDIC), Cameroon’s largest farming organization. ACDIC officials say supporting farmers with improved seeds at the beginning of every planting season is the way forward to regain the country’s food security pride. “When farmers have the right material for greater yields, the results are always positive,” says Benard Njonga, CEO of ACDIC. SOWEDA is optimistic the seed variety multiplication project will sow the revolution towards food self-security. “Agriculture is the driving force of Cameroon’s economy, so empowering farmers with right inputs is guaranteeing the country of sufficient food supply,” says SOWEDA Director of Monitoring and Evaluation.